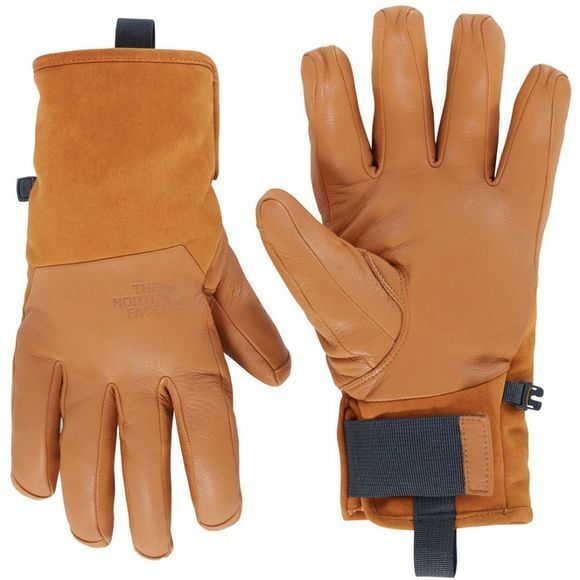 The Mens Leather Il Solo Glove from The North Face is a favourite of The North Face athletes. This is the only glove you'll need on chilly resort days and cold sidecountry expeditions. Soft goat leather is lined with cosy Sherpa fleece for maximum comfort, while Heatseeker insulation delivers lightweight warmth on the back of your hands, where it's needed most. A breathable waterproof DryVent insert repels moisture, keeping your hands dry for all-day comfort.